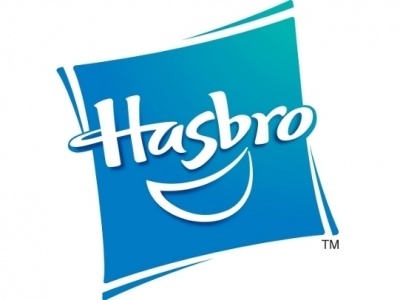 'Living Dead' Pencil Sharpener, Frazetta Puzzles, 'Star Trek: Next Gen' Cats! 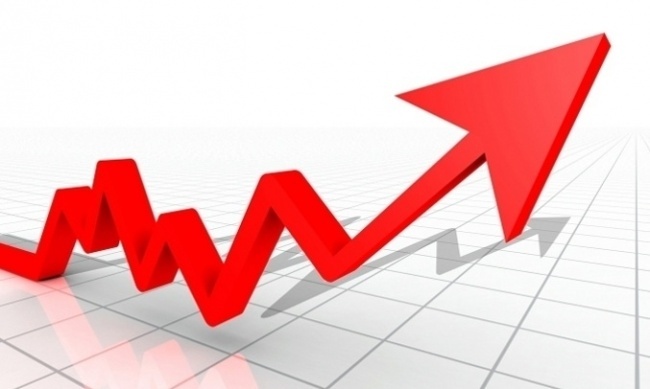 Here are some eye-catching and noteworthy items that will stand out from the regular stock in your store. Last year, Chronicle Books released Jenny Parks Star Trek Cats, a vivid homage to the original Star Trek series, featuring feline versions of the Enterprise crew. 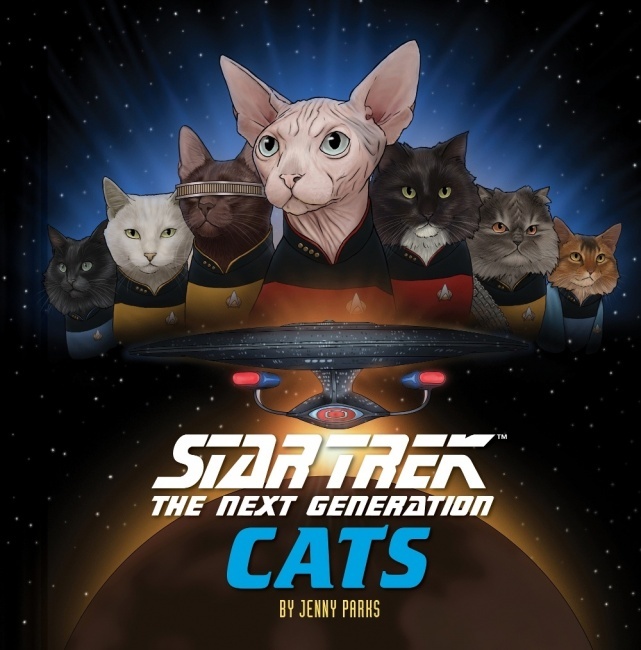 Now Parks has returned with a follow-up: Star Trek: The Next Generation Cats. Once again, the felines are boldly going where no cat as gone before. The furry crew recreates iconic scenes from the award-winning series, from holodeck adventures to Borg encounters. The 64-page 6” x6” hardcover has an MSRP of $14.95. T he book, perfect for both Star Trek fans and cat aficionados, releases on March 28. 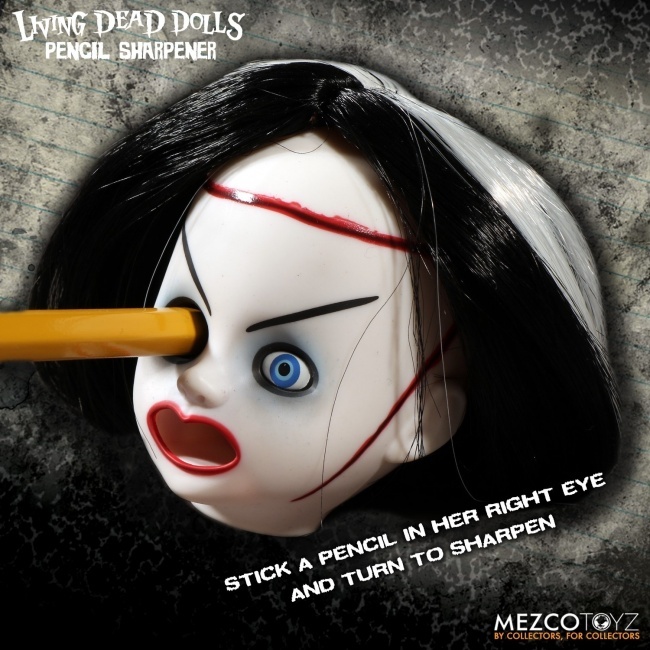 Mezco Toyz has taken creepy to a new level with its newest Living Dead Dolls Pencil Sharpener: Bride of Valentine. 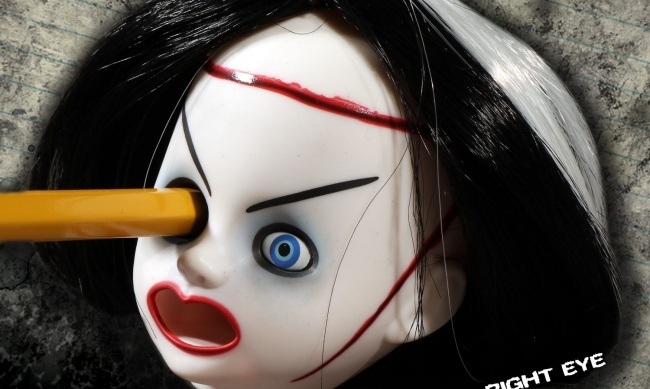 The bride’s right eye socket houses a pencil sharpener, and there is a lever on the back of her head to move her tongue and expel the pencil shavings. Bride of Valentine was introduced in the Living Dead Dolls Series 3 line in 2002. The sharpener is packaged on a blister card. 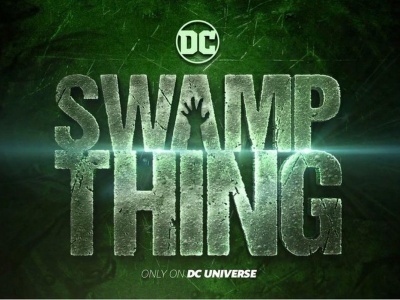 Release is planned for July 25. MSRP is $16.00. 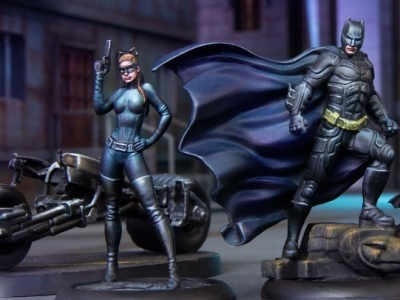 Mezco has previously released sharpeners featuring Sadie and Posey. River Horse has unveiled two new puzzles featuring artwork by famed fantasy and science fiction artist Frank Frazetta. 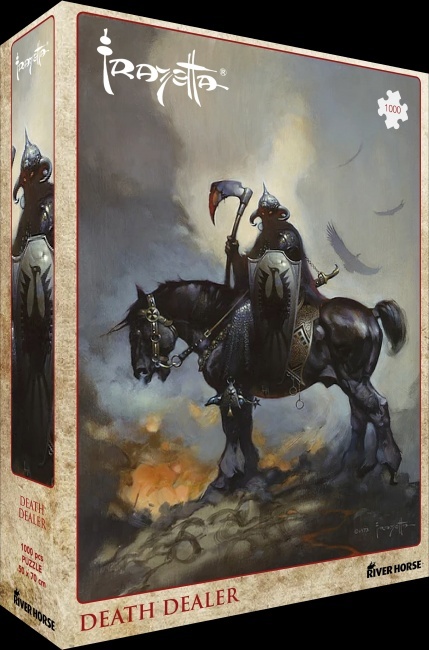 The Barbarian and Death Dealer are both 1000-pierce puzzles featuring iconic Frazetta artwork and are made with the latest techniques including thicker tiles, perfect bonding connection (the jigsaw can stand up without glue), and high-quality printing with a matt finish. See larger images of all products in the Gallery below.